Manchester United manager, Jose Mourinho is reportedly ready to sell the likes of Marcos Rojo and Eric Bailly in the January transfer window in order to bring in new defenders for the club. 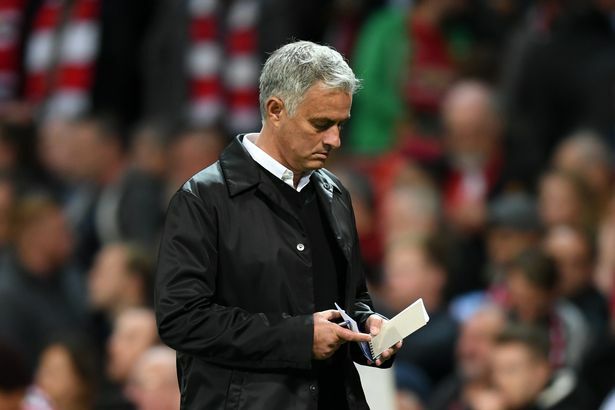 Mourinho identified the likes of Toby Alderweireld, Harry Maguire, Yerry Mina, Jerome Boateng and Diego Godin as centre-back targets last summer, but the club refused to pursue any of them. According to The Telegraph UK, Unitedâ€™s chiefs now want to cash in on Rojo and Bailly, with the likes of Tottenhamâ€™s Toby Alderweireld and Interâ€™s Skriniar on Mourinhoâ€™s radar. Bailly, who has played only five times for United, has not featured for Mourinhoâ€™s side since the 3-2 victory over Newcastle last month. Rojo, on the other hand, has not featured for Mourinhoâ€™s first team squad this term. Defenders, Chris Smalling and Victor Lindelof have been preferred to Bailly and Rojo in the heart of defence for the Red Devils. Mourinhoâ€™s side have conceded 21 goals in 12 Premier League games so far this season. United will take on Crystal Palace on November 24 at Old Trafford after the international break.